The Sanyo HEC-DR7700 zero gravity massage chair lounger is designed to encase your body in total luxury while relaxing the days stress out of your entire body. It has state-of-the-art controls and sensors that deliver a status report of the massage and stiffness on a reversible color flat panel screen. 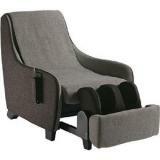 The calf and foot massage are built-in to the footrest and are also power assisted to support your legs. 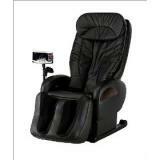 We found Amazon.com to have the best prices on all massage chairs including the Sanyo HEC-DR7700 massage chair (free shipping). Click here to check it out. The HEC-DR7700 has two distinct Zero Gravity settings; position #1 automatically puts your body in the most natural position and provides access to all of the massage functions. In the position #2 setting your body is reclined further and your legs are lifted even higher. In this position, your body will receive an air only Comfort Course massage. This delivers a stretch and compression style massage to relax the tension out of your sore aching muscles. 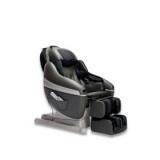 The Sanyo HEC-DR7700 massage chair features an Exclusive Stiffness Detection Sensor. This unique feature uses technology the sense perspiration and your pulse to determine amount of stiffness and tension in your muscle. With this information it can figure out where the massage is needed the most. The Sanyo HEC-DR7700’s built-in leg and foot massager air bag design delivers a Shiatsu type massage as well as heat to deliver a total Shaitsu massage to your legs, calf, ankles and feet. The heat is designed to also promote better circulation and relaxation. The quad roller massaging mechanism delivers a full 31” Vertical stroke in order to ensure that the full length of your back is reached. It also has 5 width settings where you are able to adjust how much of your back is covered by the massage head. There are also 5 built-in speed settings so you can adjust how fast it moves up and down your back. After reading through the reviews of the Sanyo zero gravity massage chair HEC-DR7700 the comments have been mostly positive. 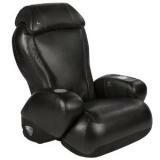 One reviewer called it an amazing massage chair and well worth the rather steep price. Another reviewer pointed out the shoulder and neck massage feature felt nearly like human fingers. One reviewer pointed out that after choosing one of the 15 minute automatic massages they were totally relaxed after a long day at the office. The only negative comment I could find was that they thought it should come with a TV monitor and MP3 player. Click here to read more reviews. Based on all of the comments posted online for the Sanyo HEC-DR7700 zero gravity massage chair lounger it is well worth the extra dollars when compared to cheaper models. 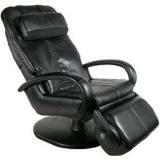 I would highly recommend this chair if you are looking for a massage chair in this price range. 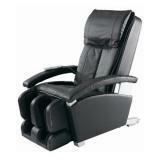 How would you rate the "Sanyo HEC-DR7700 Zero Gravity Massage Chair"?